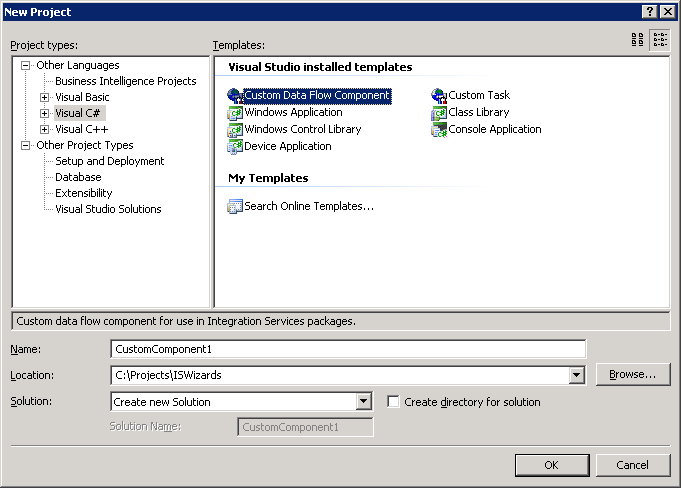 Component Wizards for Integration Services make starting your own custom task or data flow component a snap. 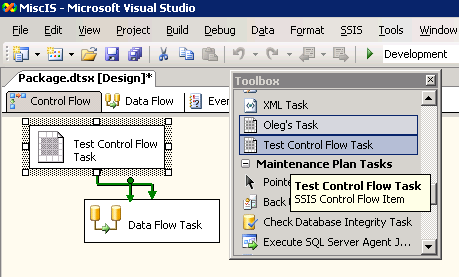 In just a few clicks, you get a functional base project for your task or component that can be compiled right away and added to Control Flow or Data Flow in Integration Services package designer. To begin using Component Wizards, download and install the available MSI package. After re-starting Visual Studio environment, you will have Custom Data Flow Component and Custom Task templates in Visual C# section of the New Project dialog. Please send feedback. © 2005 Ivolva Digital. All rights reserved.